You will receive the artwork in 15 to 20 days. Due to special handling and documentation, we require a little longer than our usual delivery times. Returns can be requested within 14 days of receipt of the item. For detailed instructions please contact Customer Care. 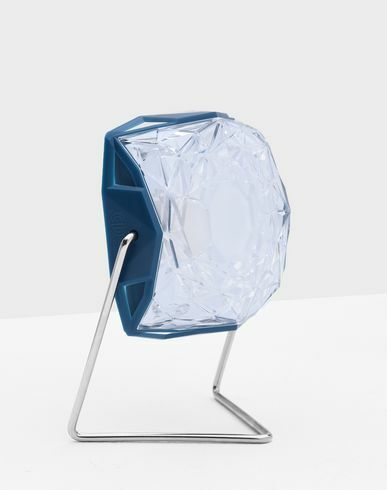 Minimalist and clear, Olafur Eliasson's Little Sun Diamond solar lamp is inspired by nature just like its floral sibling, Little Sun, sharing its ethical and aesthetic values too. Featuring a built-in stand, Little Sun Diamond brings light where it's needed, from our urban adventures to the poorest villages, with each purchase helping to spread this technology around the world. Little Sun is a global project sharing sustainable light and energy. For every Little Sun product purchased, the same product is made available to someone without access to electricity at a locally affordable price. Olafur Eliasson is one of the best-known artists on the contemporary scene mainly thanks to The Weather Project, an installation that transformed London's Tate Modern into an infinite, dramatic sunset. Through an empathetic and focused use of minimalism and perception, his work has become a social regeneration project, not just an aesthetic endeavour.